Our ecommerce SEO services cover a complete array of strategic implementations and ongoing services. In addition to site audits, on-site SEO, link building, and technical SEO, we also handle other non-SEO strategies like content marketing strategy and social media, to name a few. And like our other ecommerce SEO services, complete packages are also customized to meet your specific marketing objectives and budget restraints. 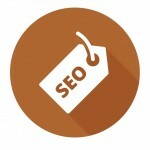 To learn more about our ecommerce SEO service packages and pricing, contact us.